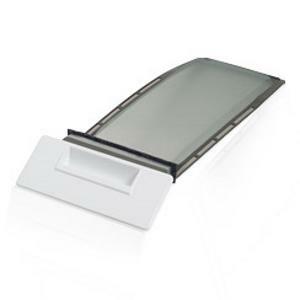 This Whirlpool/Kenmore Lint Filter Trap Screen- 8557882 is the most popular and widespread lint screen filter that slides in to top of the dryer and is also known as Whirlpool 8557850. This lint filter has been used on many Whirlpool and Kenmore dryers since 1964, and is compatible with dozens of dryer models (check the exact measurements of your old dryer lint screen). This lint screen will also fit many KitchenAid, Roper, Estate by Whirlpool, and other dryers made by Whirlpool which use a top loading lint screen filter of this size. 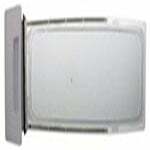 This dryer lint screen includes a large white plastic handle attached to the top of it which also functions as a lid and is identical to Whirlpool Kenmore Replacement Lint Screen 339392 except for the white plastic handle attached to it. 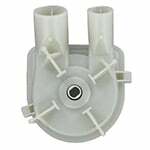 This replacement lint trap is used in dryers with a 29 inch wide cabinet and is inserted in to the dryer on the top right hand rear side. In addition to reducing your energy bill, periodic replacement of the 8557882 lint screen will help to extend the lifespan of your appliance. This is a third-party replacement. 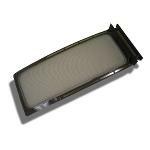 It is the same or better quality as the original stock dryer lint screen filter though at a much more economical price.